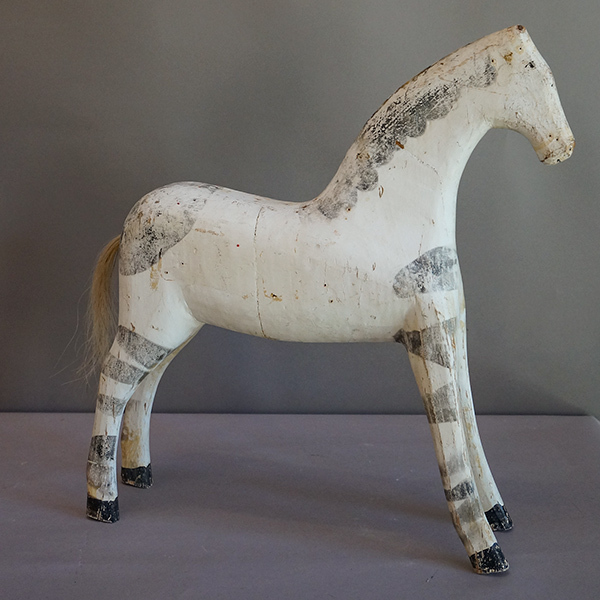 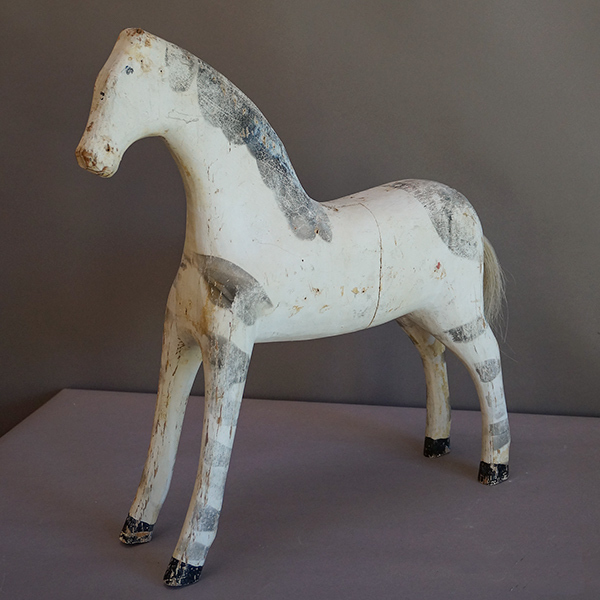 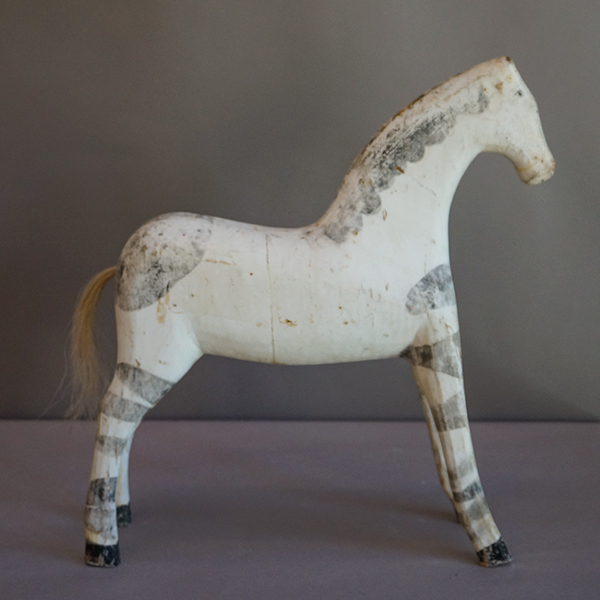 Primitive horse carving, Sweden circa 1880, finished with gray paint made from fireplace ashes. 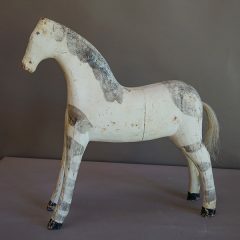 Real horsehair tail. 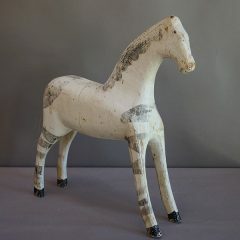 This horse, the only one of its kind we have seen, is truly a charmer.